Don't miss out on our best deal of the year! Shop Now and Get Up to 60% OFF! 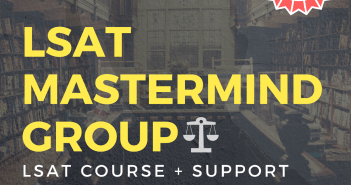 Over 180 lessons covering everything you need to know to crush the LSAT. No More Guesswork! Our LSAT study schedule walks you step by step through each week of your prep. You’ll know exactly what needs to be done every step of the way, all the way to test day. Which schedule should I buy? The schedules are designed to take you all the way though test day. Simply determine when you are taking the LSAT & use the convenient countdown clocks below to determine how many weeks/months until your LSAT test date. Once you know how much time you have until your test day, just pick the schedule that fits best!